Used to be, Toyota was capable of designing a nice, clean honest car. 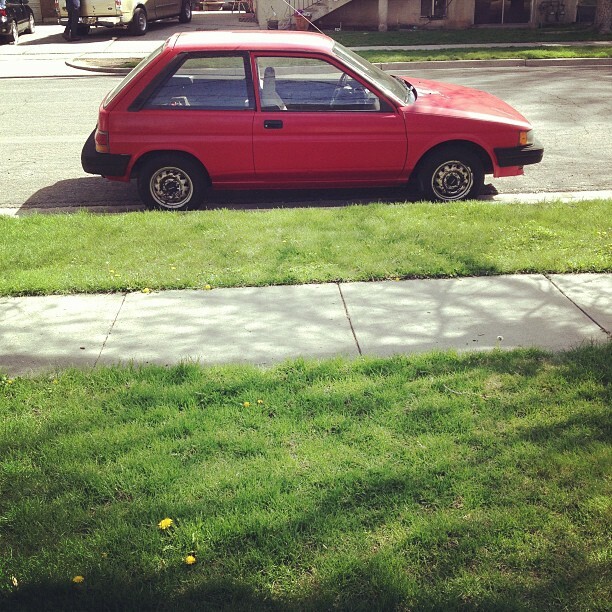 The mid-80s Tercel was one. Before the blobby uglyness of the Echo and the oddly lumpy and overwrought Yaris, this car anchored the bottom end of the Toyota food chain.